The security of industrial control systems (ICS) has come under the spotlight with several high-profile incidents affecting power plants and other critical infrastructure in recent years. What are the threats to these systems in ASEAN, and what is the common approach to securing ICS systems? 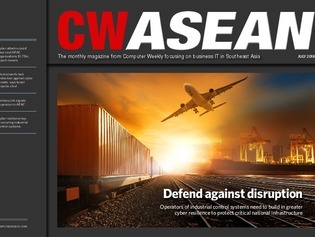 In this month’s issue of CW ASEAN, we take a closer look at how ICS operators are improving the visibility of ICS environments without jeopardizing operations, addressing security vulnerabilities and enhancing cooperation between IT and operational technology teams.